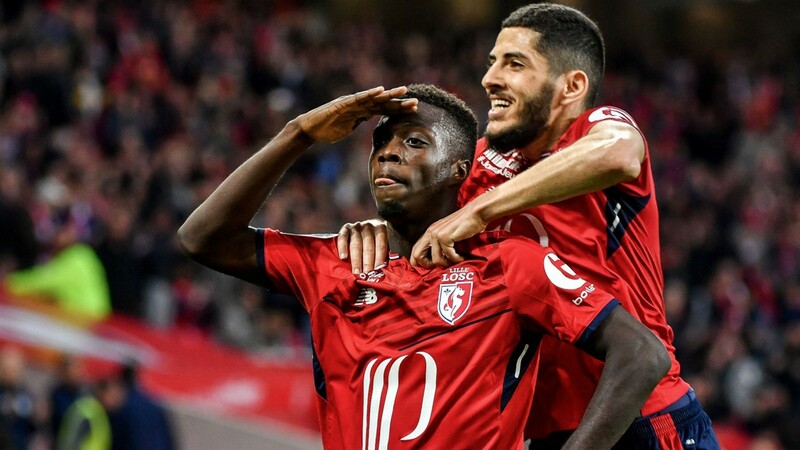 Lille survived relegation by a whisker after finishing in 17th place last season but they are off to their second best ever start to a Ligue 1 campaign. Christophe Galtier’s Lille are currently joint second on 13 points, eight adrift of pacesetters and defending champions Paris Saint Germain. Their stellar start has been underpinned by the prolific form of Ivory Coast forward Nicolas Pepe. The twinkle-toed African has created or scored more than half of the 2012 champions’ goals to date. An emerging intense race for French Ligue One’s golden boot will be an interesting sideshow as high flying Lille host Olympique Marseille at the Stade Pierre-Mauroy on Sunday night. Pepe’s four goals put him joint fifth in the top scorers chart along with Marseille’s Dmitri Payet and PSG’s Kylian Mbappe. Another Marseille player, Florian Thauvin, heads the scoring charts with six goals; one more than Paris Saint Germain pair Edinson Cavani and Neymar Junior. Bordeaux’s Stephen Kamano is the third player on five goals. This weekend’s Ligue One action commences Friday night with fallen giants Saint Etienne hosting Monaco. Anything less than maximum points for Leonardo Jardim’s 2017 champions will amount to a crisis. The principality club are winless in six outings and go into this game on the back of a disappointing 0-1 reverse at home to Angers that left them third from bottom. Thomas Tuchel’s PSG take their perfect record of seven wins from as many games to Patrick Vieira’s Nice. Following a disastrous start, the Southern resort city have picked form and in Allain Saint Maxim and Mario Balotelli they have the forward line to test the Paris behemoth. Another interesting matchup sees on form Olympique Lyonnais, who have netted ten goals in consecutive victories over Manchester City, Marseille and Dijon welcome troubled Nantes. In other games, Ismail Sarr will be a marked man as Rennes host Toulouse; Reims battle Bordeaux in Champagne country and Angers tackle bottom club Avignon Guingamp.